Jara Jirik has joined to the racing battles in Italian Mugello Circuit. This track known mainly by motorcycle racing hosted the first event of 2019 24h Series European Championship and paralelly second event of 2019 24h Series Champion of the Continents. He was the next in the rich amount of Czech drivers. His participation came after longer break, when he has been working for Skoda Motorsport. 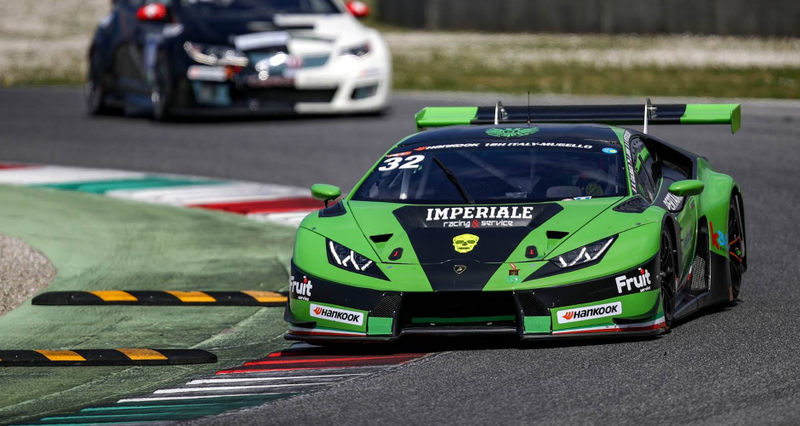 In Mugello he could be seen in the Lamborghini Huracan GT3 2018 spec cockpit. Team Imperiale Racing is known by starts in GT Open championship and extends own participation to the membership in 24h Series. Beggining of qualigying session for GT cars was delayed for one hour in case of technical fault on the track. During the half an hour qualifying #32 car set the time 1:47,918 in the hard competition of newer spec cars and gained place in the third row at Friday´s start. In the first, three-hour part of the race, the green-black lamborghini set off without a loss of position and even reached the fourth position after the first corner. The crew struggled for the third position, when there was a slight contact with the car #88 týmu Car Collection. After that, car # 32 jumped up. 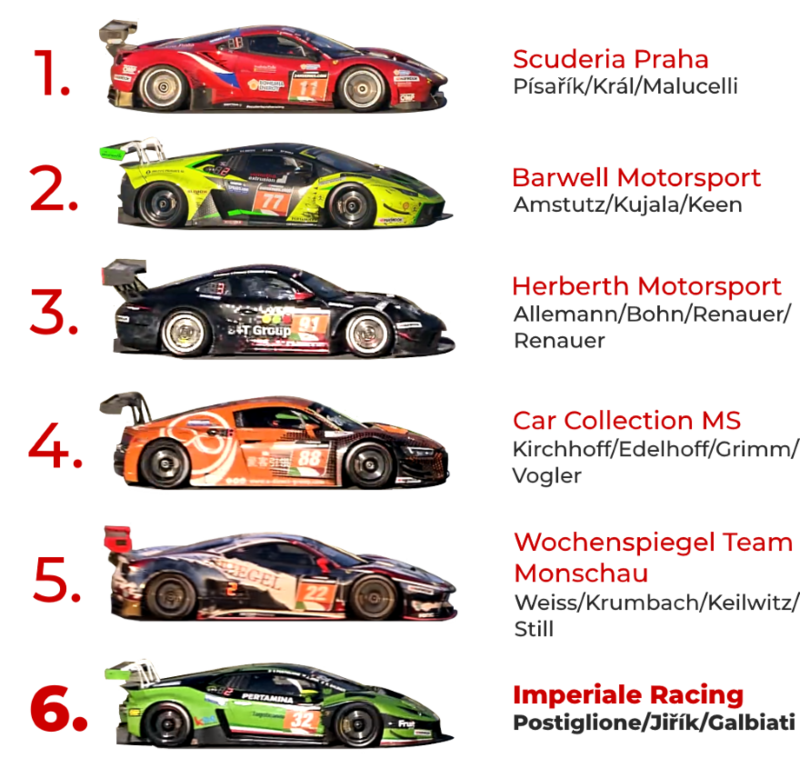 After half an hour of the race, the crew even reached the second place behind the ferrari team Scuderia Praha. The second hour brought some interesting fights, unpleasant collisions, and, logically, repeatedly the Code 60. Unfortunately, the Imperiale Racing team did not avoid problems as well, it lost valuable minutes in the depot during repairs. Jara Jirik sat behind the wheel in the 49th round of the race and then the fighter ride began. During the one-hour stint he managed to pull down ten positions. Saturday, the second part started at nine o'clock in the morning. The main goal of the team was to withdraw the loss from Friday's day without further complications. After a total of ten hours of the race, the # 32 riders were in eleventh. In the remaining two hours, the team managed to win sixth in the finish.